With rumors continuing to suggest Apple plans to introduce an all-new iPhone design with an OLED display next year, it's likely not a coincidence that display suppliers Samsung and Sharp are both indicating they plan to expand OLED shipments before the end of 2017. Apple had originally planned to launch an OLED iPhone in 2018, but has apparently signaled to suppliers it now plans a "partial 2017 release," according to the Nikkei Asian Review. In anticipation, Samsung Electronics reportedly plans to increase output of OLED panels by more than 50 percent this year, with a $6.82 billion investment. In a separate report, it was also noted that Foxconn-owned supplier Sharp plans to begin shipping OLED panels to its customers before the end of 2017. Foxconn's largest customer is Apple, and its $3.5 billion acquisition of Sharp, which was finalized in March, was seen as a way for the company to gain a larger stake in Apple's supply chain. Apple already uses OLED technology in the Apple Watch, where its power consumption savings with dark user interfaces plays a key role in giving the wearable device a full day of battery life. Perhaps not coincidentally, there has also been evidence of a dark mode found in iOS 10, suggesting Apple could be working on a new interface that could give an OLED iPhone longer battery life. As for the claim that Apple is planning a "partial 2017 release" for an OLED iPhone, that would align with rumors claiming that an all-glass 5.5-inch model will debut next year. 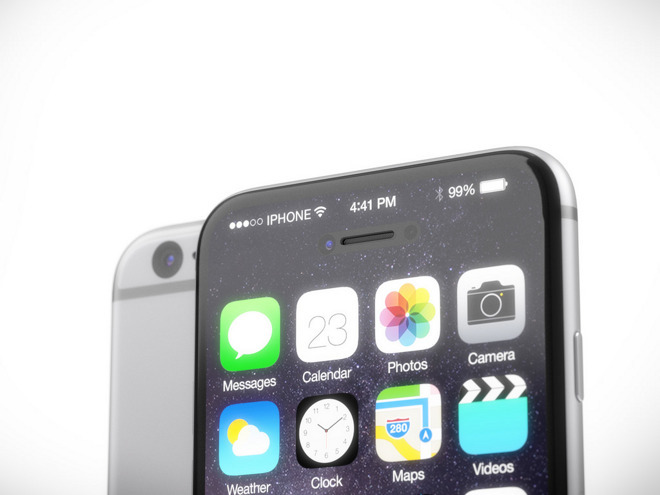 It's possible that Apple may not expand OLED to the smaller 4.7-inch variant until 2018. OLED technology is also rumored to come to Apple's MacBook Pro lineup later this year in the form of a touch-sensitive dynamic display said to replace the row of function keys. Given that Apple sells only a few million notebooks every quarter— compared to tens of millions of iPhones every quarter —a rollout of newer OLED technology in the MacBook first could make sense from a component supply standpoint. 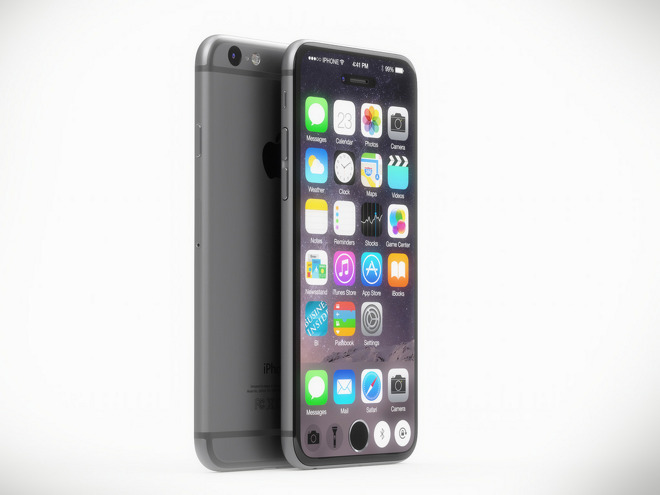 As for this year's so-called "iPhone 7" upgrade, Apple is expected to launch its next-generation handset in September with a thinner design that could eliminate the 3.5-millimeter headphone jack. The larger 5.5-inch "Plus" model, with an LCD display, is rumored to feature a new dual-camera design, 3 gigabytes of RAM, and a Smart Connector for magnetic charging.